Trollbeads Blue Ocean Collection Review and Release! 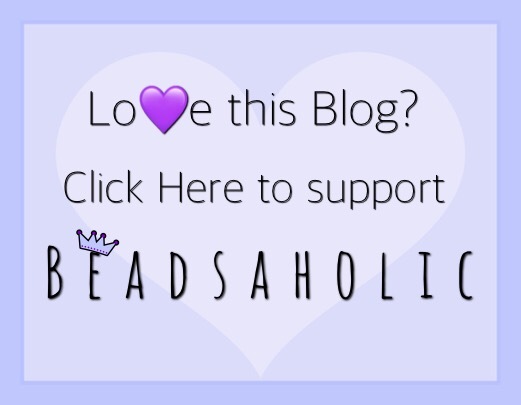 Today Beadsaholic brings the news of the release and a review of Trollbeads Blue Ocean Collection! This past week I had the honor of receiving the latest release Blue Ocean from Trollbeads and I must say that this release is fantastic. It consists of one limited-edition large focal glass bead and five new ocean themed silvers. I know you guys have heard me say many times how much I love the ocean, and anything beach themed. The beach is where I dream to be, a place that soothes my soul. Though I live a little over two-hours away, I don’t get to go as often as I like. Therefore, beach themed beads and jewelry is the next best thing that gives me a sense of peace and calmness I feel when at the beach. Trollbeads has captured that essence in their latest release. I hope you guys are ready for this photo-packed review! I have included tons of images, along with several combinations and I’m super excited that the Crab lock works so well on the Trollbeads Changeable Fantasy Necklace! If you would like to see a video I previously shared upon unboxing these beauties you can see that here. In 2016 Trollbeads released the limited-edition Deep Ocean, which is like Trollbeads Blue Ocean. However, though they are similar size and design, they are completely different in color and fish, which I love! It’s like starring into two completely different aquariums. In this first combination I have placed the Blue Ocean collection with some previous released ocean themed silvers Coral, Mermaid and Ocean bead. I have also included two uniques, the Wishful Sky, Shimmer Royal, Lapis Lazuli, and Feldspar Moonstone. Below you will find up-close photos of each part of this bracelet. Below you will be able to compare the previously released Deep Ocean with today’s released Blue Ocean. If you have the previously released, you may want to add the Blue Ocean to your collection as well. I personally love them together. Here I’m using the Crab Lock as a pendant on the Trollbeads Changeable Fantasy Necklace, also Ripples, Blue Ocean and Love Conch. I have included images showing different sides of Blue Ocean, Me wearing this necklace and hanging freely. I thought the new silvers would also go well in bangle combos to match the necklace I created above. This first bangle I used Lapis Lazuli, white pearls, Seagrass, Ocean Voice and Mermaid. In this combo I used Coral, Hiding Conch and Pink Pearls. Here I went a completely different direction, utilizing Trollbeads Uniques, Pearls, Wishful Sky and I’ve added in the Whale Spirit and Water Lily Spacer. I wore this combo today to my son’s award ceremony, such fun beads. Over all, I think this is a fabulous release. If you are like me and love everything about the beach and sea, then you will truly love this collection. In my opinion these are a must have! They mix well among the Trollbeads brand and with other brands. Please, remember like most Trollbeads, that these beads fit mostly smaller bracelets or bangles with a smooth end, Blue Ocean glass will only fit on a standard Foxtail bracelet, necklace and a fantasy necklace. Trollbeads Blue Ocean Collection is available today, May 18th, 2018 at your local retailer as well as the retailers linked below! Please, note that Trollbeads USA is an affiliate link and they only ship within the USA. All featured retailers ship world-wide. I truly hope you all found this photo packed review helpful and enjoyed the photos. 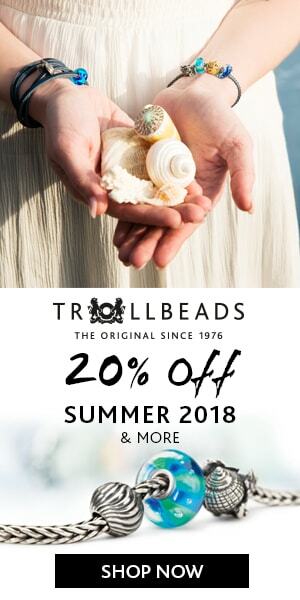 I always love hearing from you all and would love to know your thoughts on this release from Trollbeads? Is there any must have beads in this release? Are you a beach lover, like myself? What is your favorite beach to visit? ← Ohm Beads July Bead Of The Month – Black Coffee! Great job showing these beads. I was confused bsfore but I can see the sizing perfectly. I love the 3 conches. Thanks Nereida! I love the three conchs, as well. The Hiding Conch is my favorite.